When using cryogenic liquid gases with a low heat of vaporization such as helium, hydrogen or neon, it is necessary to have an efficient transfer apparatus. 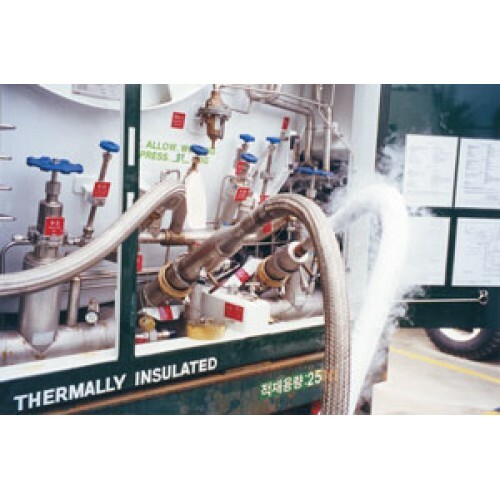 To meet these operating requirements, transfer lines are carefully fabricated using all welded stainless steel construction and super insulated to provide the optimum in thermal performance. The inner configuration of all assemblies, whether it be rigid tube or flexible is stainless steel of a minimum wall thickness to reduce cool-down losses and heat leak. All assemblies are helium mass spectrometer leak tested and fully evacuated before shipping to insure that the unit is ready for immediate use upon receipt. 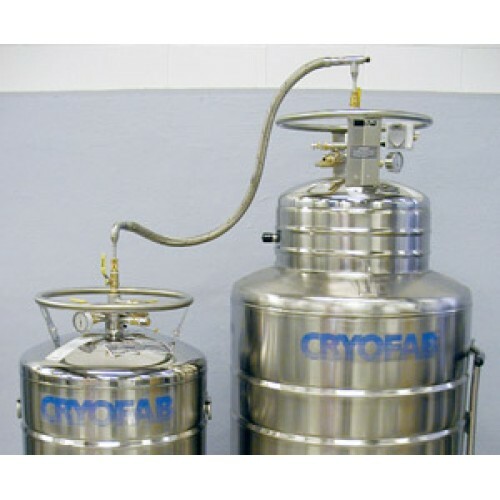 All Cryofab transfer lines are custom built to meet the customer’s specific requirements for configuration, diameter and length. Special features can be added to enhance the product. 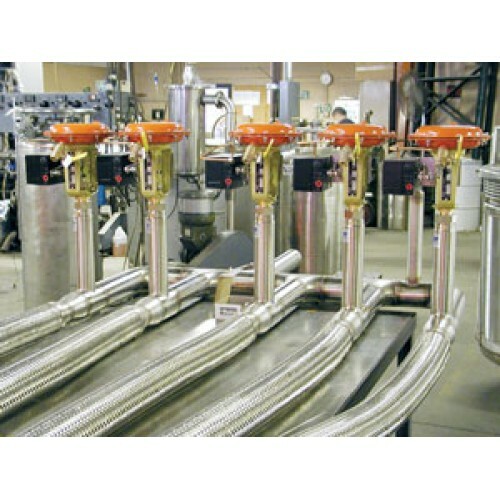 Common applications include MRI and NMR re-filling of superconducting magnets, gas distributor trans-fill stations, instrumentation and experimental transfers.